Another of my favourite Wilde poems. And stopped beneath the harlot’s house. The ‘Treues Liebes Herz’ of Strauss. The shadows raced across the blind. Like black leaves wheeling in the wind. Went sliding through the slow quadrille. Their laughter echoed thin and shrill. Sometimes they seemed to try to sing. Upon the steps like a living thing. Love passed into the house of lust. The shadows ceased to wheel and whirl. Crept like a frightened girl. Wow. This was amazing. I admit despite my general Wilde fangirldom I’m not too familiar with his poetry and this was an absolutely amazing introduction. I think I’m going to go to the library and look for more as soon as I get dressed. Thank you so much! That’s such a lovely compliment, I’m really flattered. 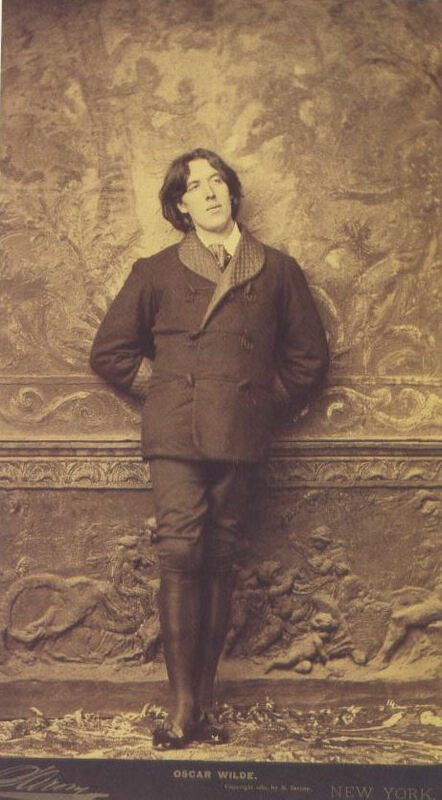 I love Wilde’s poetry. I was a bit of a latecomer to it as well, but it has since stolen my heart.